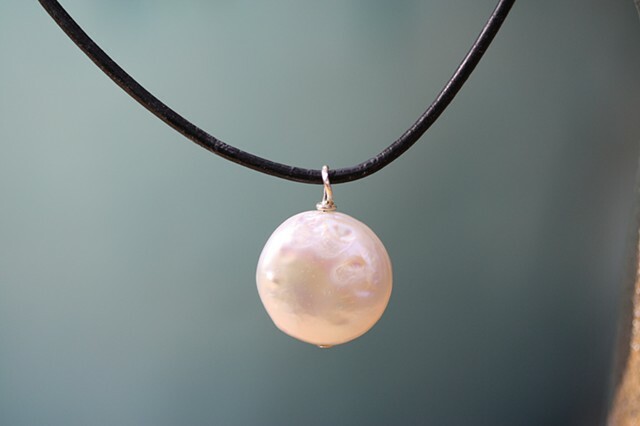 Beautiful fresh water pearl circle charm on black leather cord. Simple but eye catching! Dress it up or think casual. Sterling lobster claw closure with 2" sterling chain extender. Approx 16 3/4-18 3/4"